"Personal", "Projects", "craigslist", "paint", "refinishing"
In addition to our yard sale finds for Tiffani's apartment, we also did a bit of Craigslist shopping. Tiffani found a few different dining room sets that we were in communication with people about in Charlotte so Saturday afternoon we went and looked at the one we were most interested in. 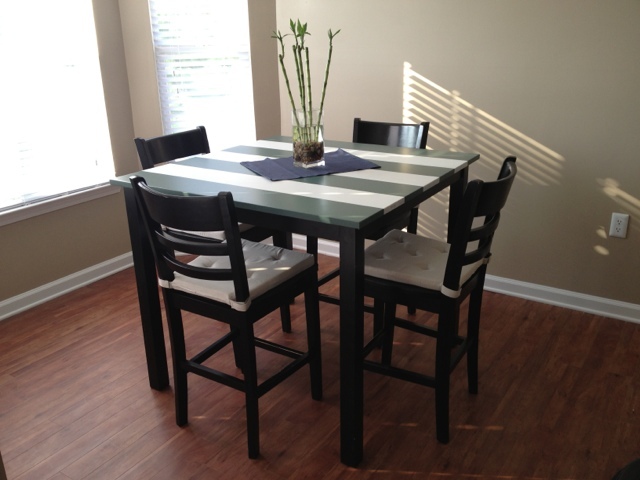 After Tiffani practiced her awesome negotiation skills, she purchased her whole dining room table and chairs set for $90! 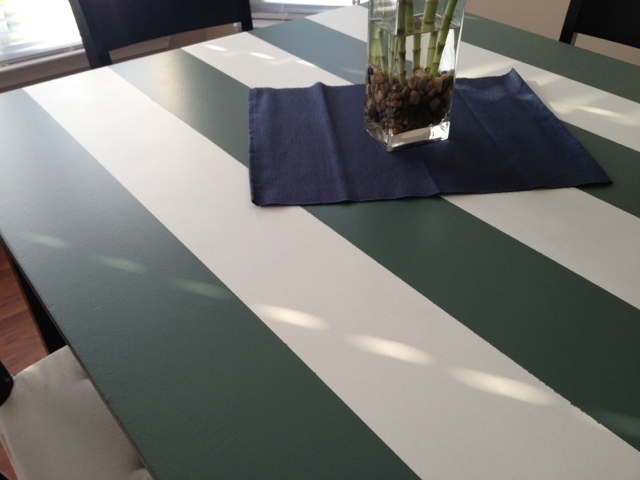 color onto the dining room table. Here is the fresh finished product!